In the area of wrongful dismissals, it’s no secret that a termination “with cause” is a high threshold to meet. Yet, despite this, there are cases wherein an employer has let an employee go for a dress code violation. Dress codes are typically quite standard. In the business world, a standard skirt or pantsuit is outlined as appropriate. More creative workplaces, such as advertising agencies or design firms, may have a more “business casual” dress code, but generally often there are unwritten dress code rules. But what happens when an employer deems an employee’s violations of the dress code an action worthy of termination? Peart v. Distinct HealthCare Services Inc.  O.H.R.T.D. No. 300 is a (relatively) recent Human Rights Tribunal decision on this very issue. In Peart, the Applicant, an employee who became pregnant, was criticized on several factors after her wardrobe choices and demeanor began to change following her becoming pregnant. Her Manager would tell her that she was “looking big”, “tired”, and was not dressing “professionally”. Her Manager encouraged her to “take maternity leave early”. Days after these words were exchanged, the Applicant left work for a doctor’s appointment, after which she informed her Manager that she would require the rest of the day off of work, by way of voicemail. Her Manager responded thereafter, stating that the Applicant shouldn’t return to work and that her maternity leave would be processed early. The Applicant then received a Record of Employment indicating “Maternity Leave” as the reason for issuance. The Applicant was not contacted regarding a return to work thereafter. The Applicant subsequently submitted a complaint and the matter proceeded before the Ontario Human Rights Tribunal. At the Tribunal, evidence was brought forth that the Applicant had received a warning shortly before her maternity leave was “processed early” that a continued non-compliance with the dress code would result in termination. No specific issues were mentioned, only that the Applicant was required to “portray a professional and appropriate appearance”. Understandably, at the hearing, the Applicant’s condition- pregnancy- came up as a potential issue of discrimination. The Respondent denied the allegation, and, in a particularly blunt manner, asserted that “if pregnancy was the reason for the Applicant’s termination, the Applicant would have been terminated much earlier.” Based on the evidence and authorities brought forth, the Tribunal decided in favour of the Applicant, awarding her $6,600.00 for loss of earnings, and $12,500.00 as compensation for injury to dignity, feelings and self-respect. It’s important to note that a dress code, which is a company policy, is not discriminatory in nature unless it is insensitive or unaccommodating to employees on the basis of a prohibited ground (for example, if a Muslim female employee wears a hijab, but the dress code prohibits head garments, failing to acknowledge religious head garments as an exception to the general rule). A dress code which states that employees are to wear dress pants and not jeans will, for example, typically be enforced, as it is a business objective to maintain a professional appearance and is not discriminatory to any specific group. If you are experiencing a dress code issue with an employee, it is important that you act in a manner which eliminates future liability. Dress code violations are typically not, on their own, sufficient in order to substantiate a “with cause” termination. It is best to consult an employment lawyer to determine whether your company policies, employment contracts, and disciplinary procedures are in line with current legislation and jurisprudence if you intend to rely upon such issues as cause for termination. Contact Monkhouse Law today for a free consultation. 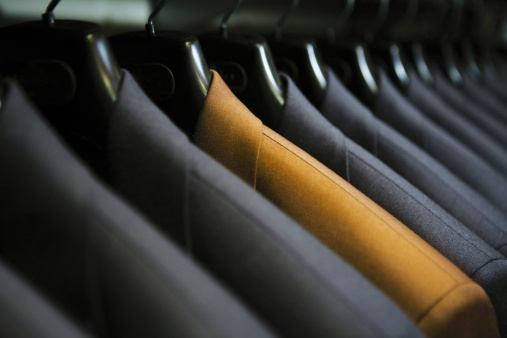 If you have been terminated for an alleged dress code issue, you may have a legal remedy available to you. As noted, a dress code violation, or two, are typically insufficient to justify a termination. Contact Monkhouse Law today for a free consultation, to see what options are available to you.